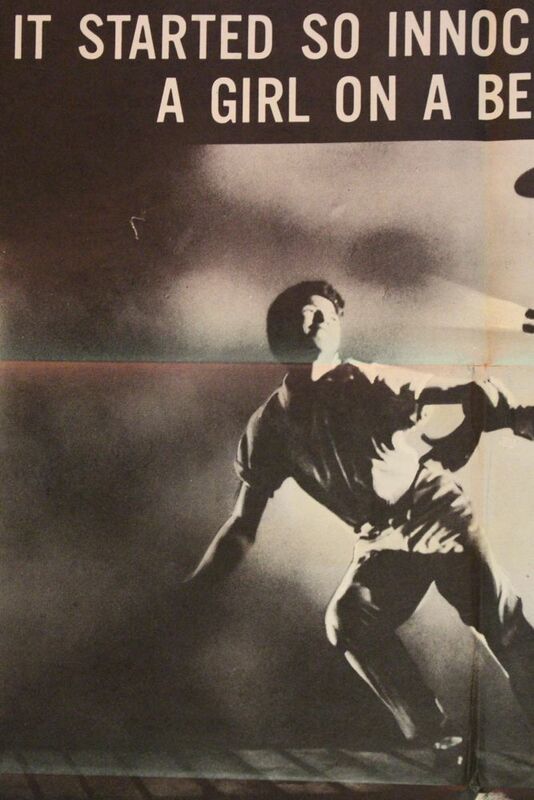 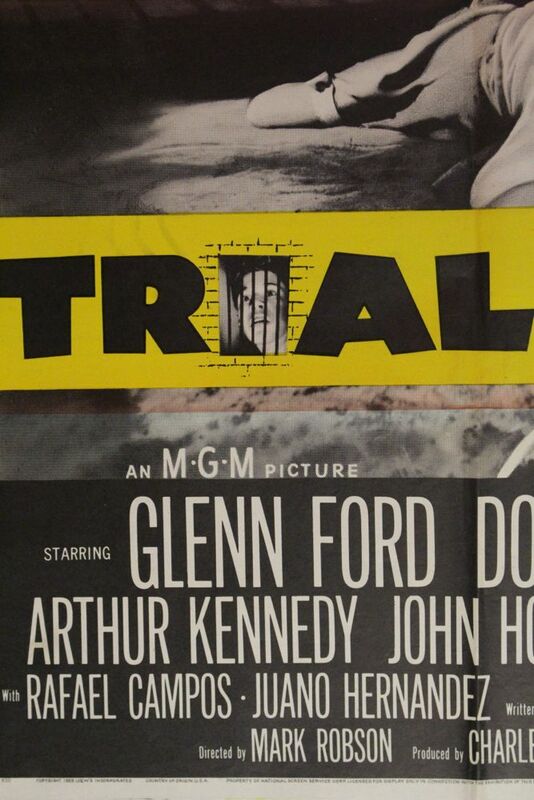 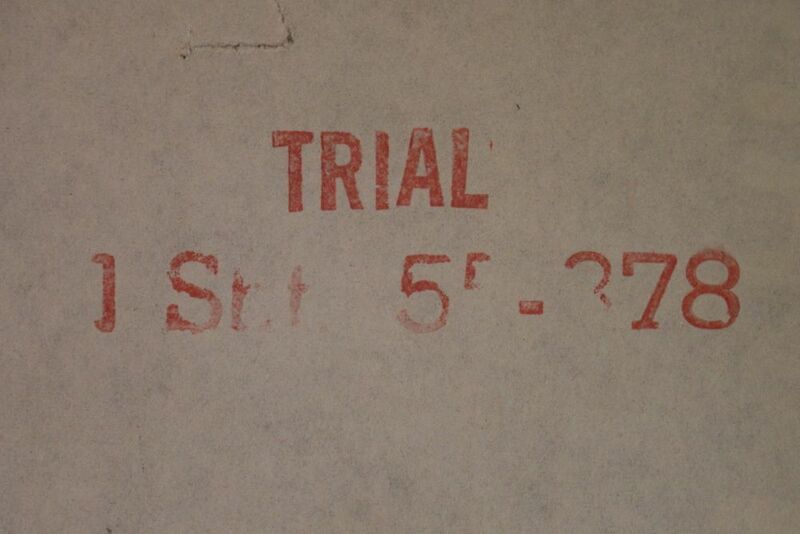 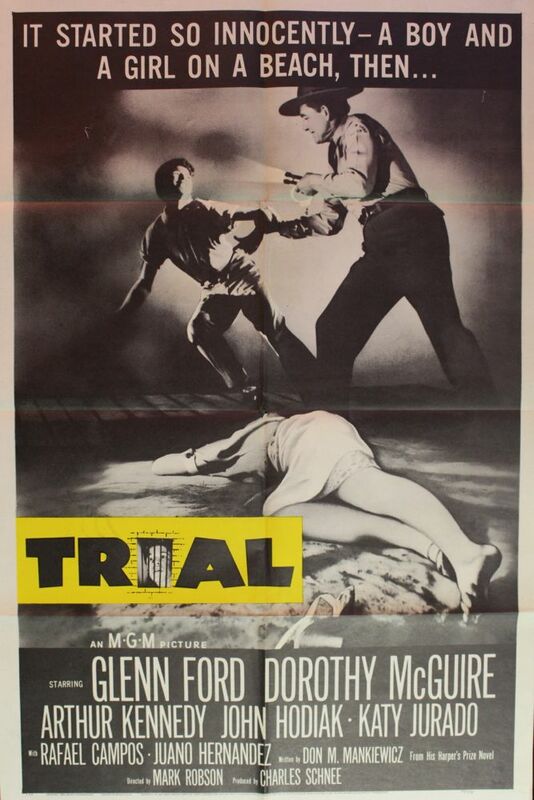 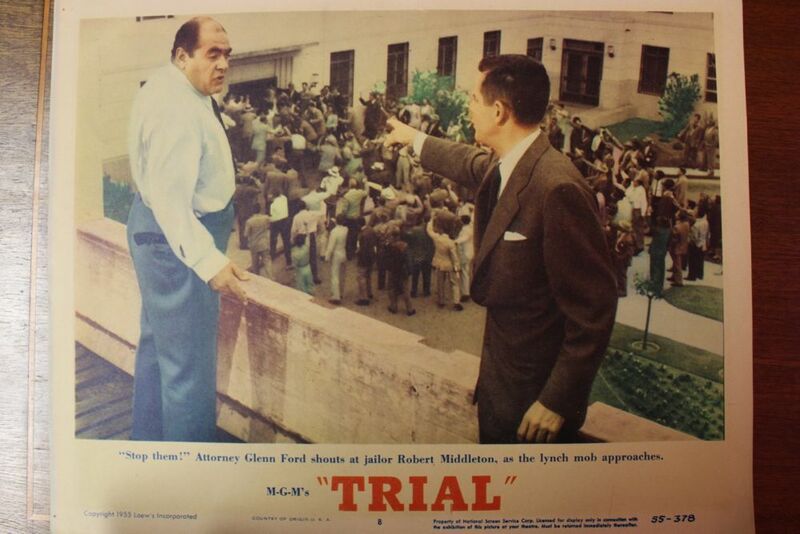 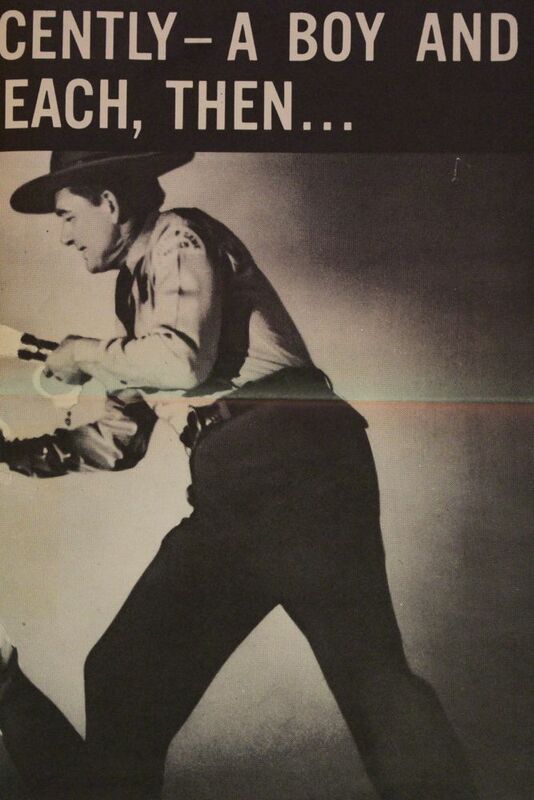 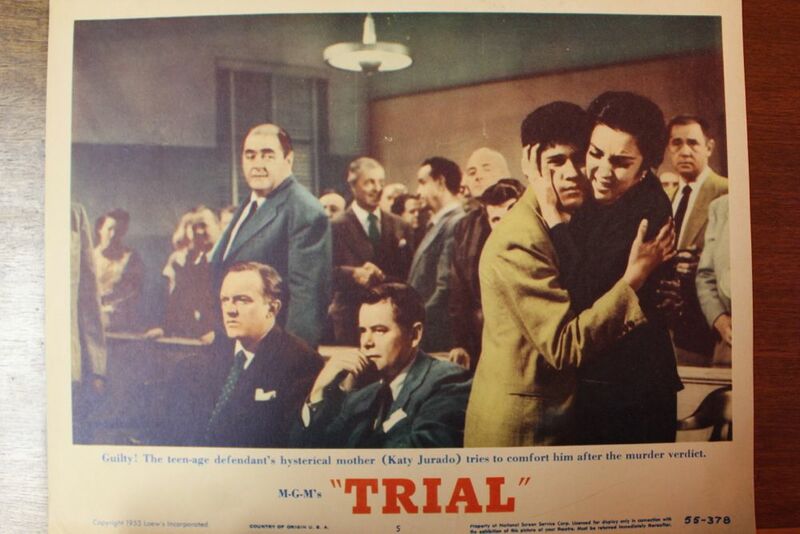 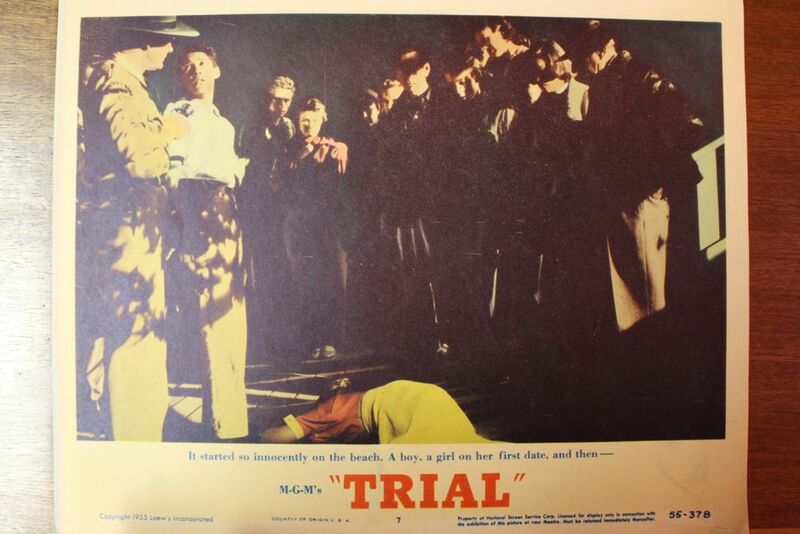 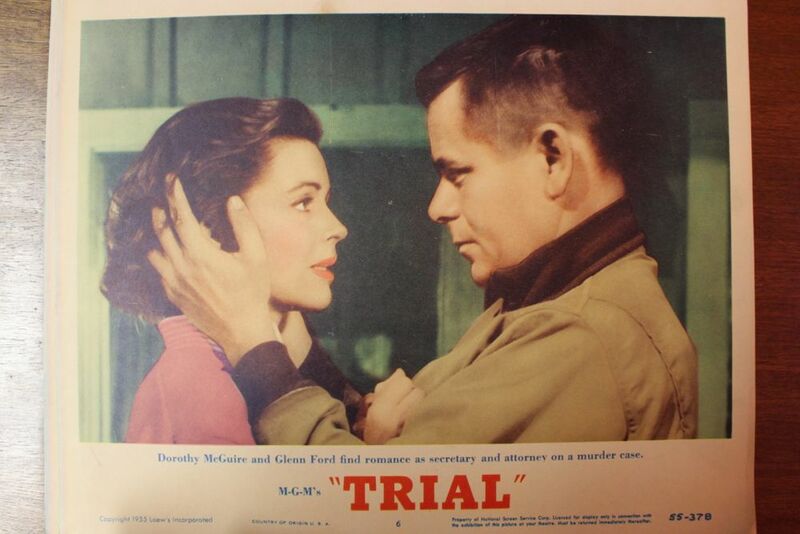 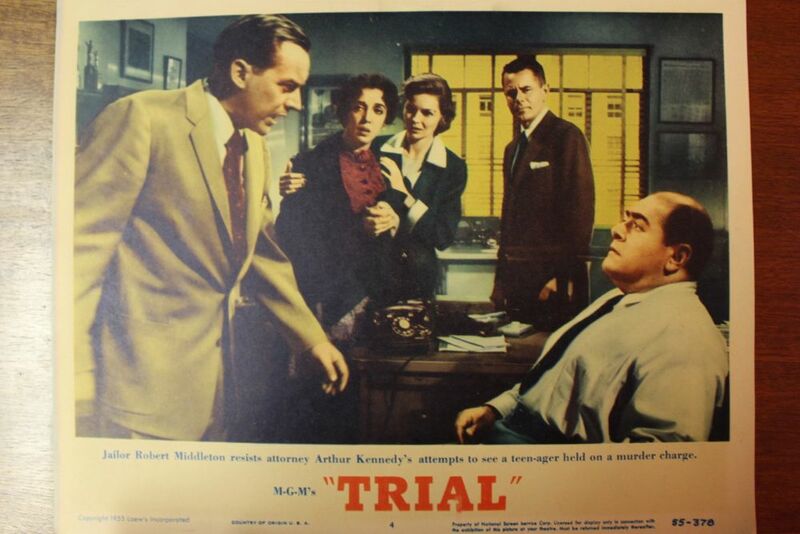 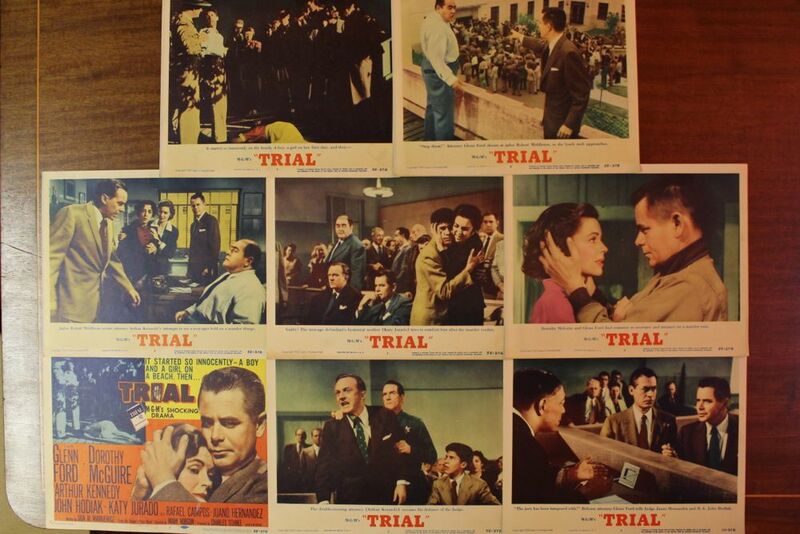 Original studio stamped Trial (1955) movie poster along with a set of 8 original lobby cards. 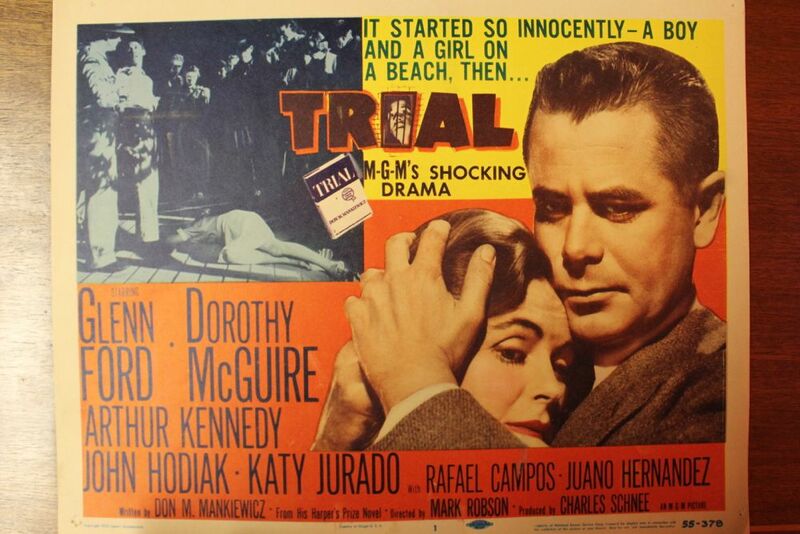 Plot: The story of a murder trial where a Mexican boy is accused of the death of a Caucasian girl. 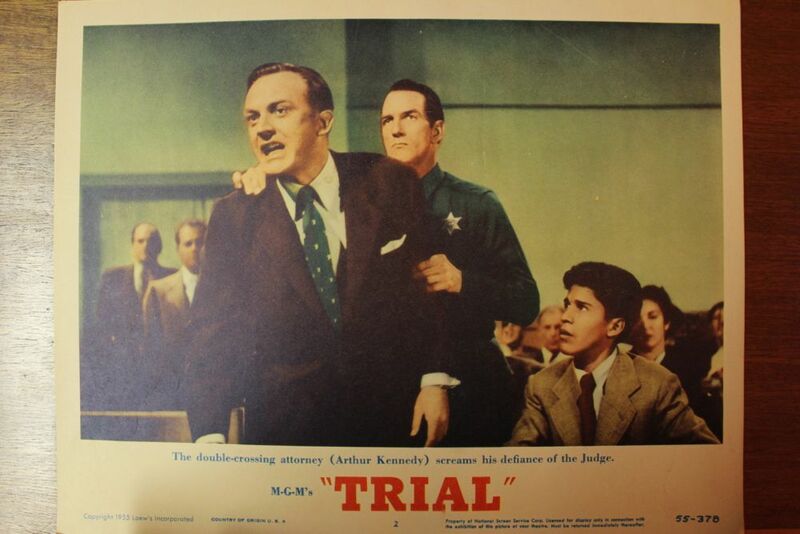 The two-faced attorney (Arthur Kennedy) who takes the boy’s case is only interested in defending him so he can exploit his Communist-backed organization for their own underhanded purposes. 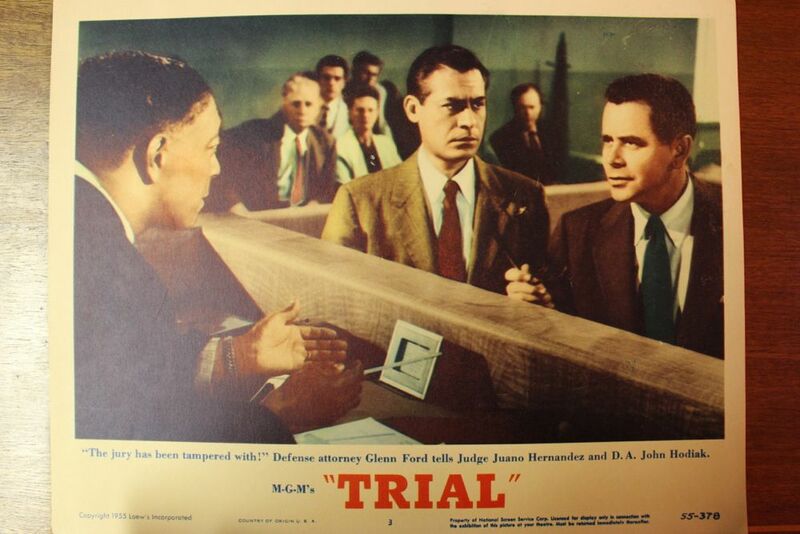 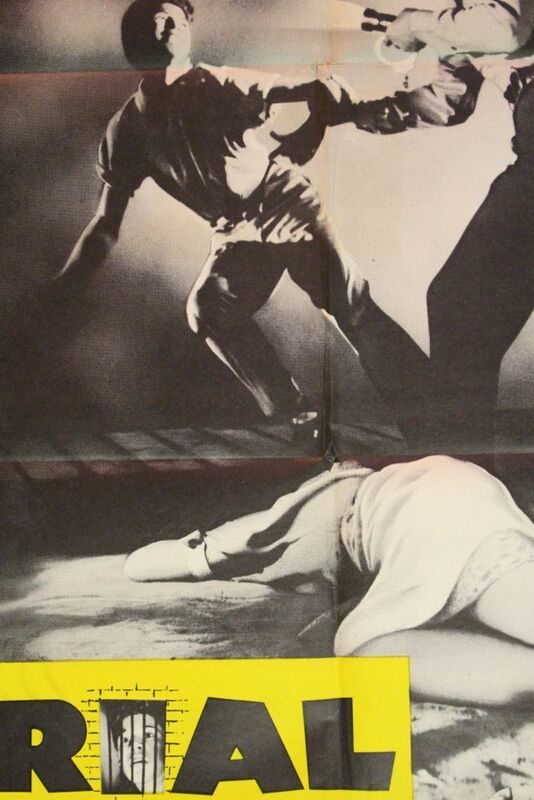 He and his organization bring in an idealistic law professor (Glenn Ford) who agrees to represent the boy in court.